We Create Fine Jewelry That Will Preserve a Moment Forever. 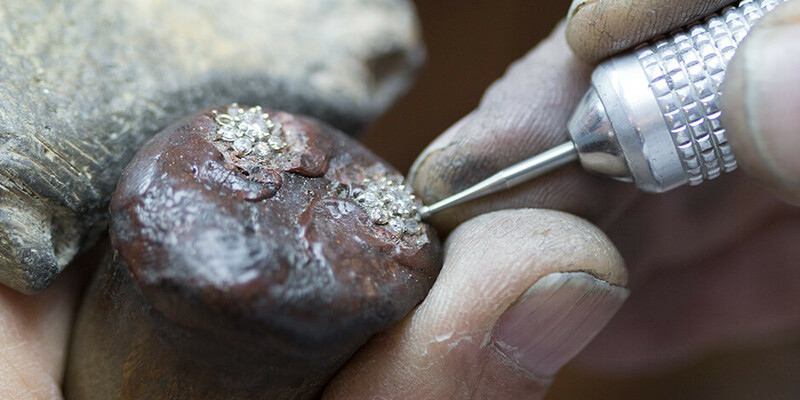 The creation of fine jewelry is a form of art that requires a lifetime of experience. It is often attempted, but rarely achieved. The skills and expertise necessary to meet the requirements of Edwin Novel Jewelry Design have been passed down, evolving through the generations, with each process being refined to virtual perfection. Throughout those generations, we have specialized in the creation of fine jewelry and custom designed jewelry, making the finest quality engagement rings, wedding bands, necklaces, bracelets, pendants, and earrings available on the market today. Edwin Novel’s experience began when he learned the arts of the jewelry industry as a young child from his father, who learned it from his father before him, going back over 6 generations. With his passion in jewelry art throughout the years, Edwin became a master craftsman at a very young age. He quickly became an expert in diamonds & gemstones, jewelry casting, jewelry welding, diamond setting, jewelry cad designing, jewelry sketching and jewelry repairs. The invaluable knowledge in the art of trading & picking precious stones, designing, setting stones, and the most rewarding experience gained in the creation of each finished piece of custom-designed jewelry allowed Edwin to quickly become one of the most awarded artists in the jewelry industry. Edwin Novel has devoted his life to perfecting every aspect of jewelry making, developing skills and protocol that have revolutionized the creation of fine jewelry. 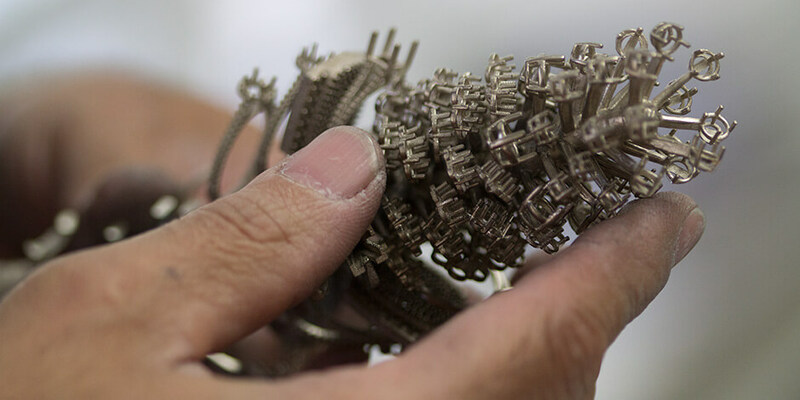 Quality craftsmanship and pride in our product is a crucial part of every piece of jewelry we create and sell to our customers. No matter if your budget is large or small, we want our customers to know that they will always get a quality product when they shop with Edwin Novel Jewelry Design. 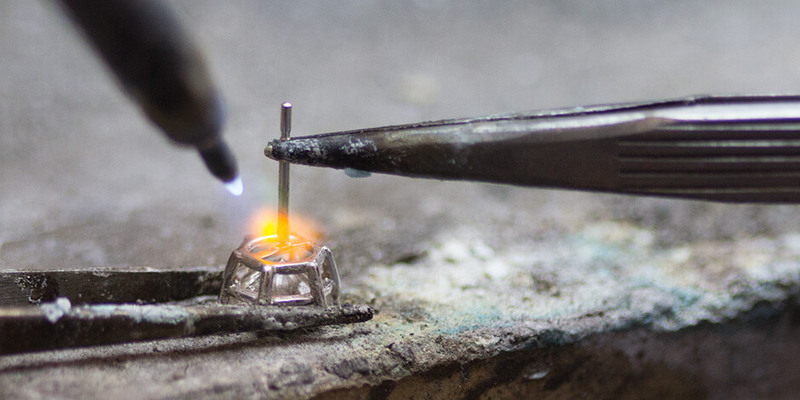 From the inception each piece, our emphasis is on creating fine jewelry. Starting with selecting only 100% natural diamonds, we refuse to use any diamond that has been laser or chemically enhanced, or treated in any way to alter the diamonds original, natural beauty. Additionally, we will only set that 100% natural diamonds in equally pure solid gold or platinum metal settings. All of our stones and metals are free of conflict, and are sourced through the finest mines and sight holders in the world to insure consistent quality to our customers. 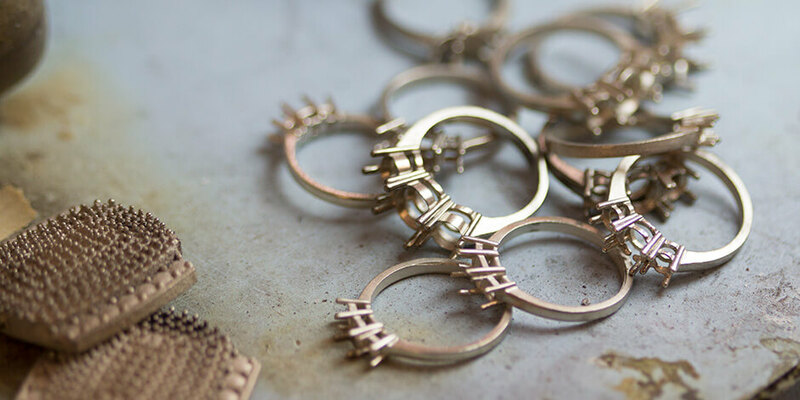 Each and every piece created by Edwin Novel Jewelry Design is hand-made with pride in the U.S.A. by our award-winning team of internal artisans who all express their individual creativity under the approval of Edwin Novel himself! Edwin has always taken pride in the visual appearance of each piece. Although certified grading specifications provide a general guideline to go by on paper, each diamond has its own special visual characteristic that cannot be described on a certificate, which is why he and our purchasers travel the world, taking the extra time to hand-pick the diamonds and gemstones we sell. Gemstones, usually are heated. After the hand-selection process abroad, every diamond goes through full GGS certification and is also individually inspected by our internal gemologists to guarantee consistently beautiful jewelry for our customer. In addition to quality, we also take great pride in offering our customers the best prices on their custom jewelry. Edwin Novel insists that each piece of jewelry be treated as an individual work of art, with each item expressing the passion of the artist who creates it. His experience has shown that you cannot ensure this level of craftsmanship at the best price by cutting any corners or outsourcing. At Edwin Novel Jewelry Design, every process is designed and operated in house to eliminate the extra expense of “middle men”. Edwin founded and built his company under one roof allowing every department to work as a team to provide our customers with the best jewelry purchasing experience possible. Our customer service department can efficiently relay our customers’ needs directly to the designers during the custom design process or any other situation. Our purchasing department can discuss custom pieces with our designers to find the best specimens for each piece while our goldsmiths can focus on making a beautiful band or setting and efficiently make any necessary alterations to accommodate our customers’ needs. All of our customer service and jewelry professionals, designers, diamond setters, goldsmiths, metal-smiths, jewelry craftsman, casting professionals, gemologists and diamond experts communicate with each other during the entire process to consistently ensure the best quality piece to each customer, which is what makes our service unique to the industry. Here at Edwin Novel Jewelry Design, we believe in offering the opportunity for quality craftsmanship and beautiful hand-made custom jewelry to every customer. That has always been the foundation that our family’s jewelry was created upon, and we continue to be grateful to our customers for appreciating the work we put into every product we create and sell. We always look forward to your custom requests and design questions, so please feel free to contact one of our representatives with your custom jewelry needs.